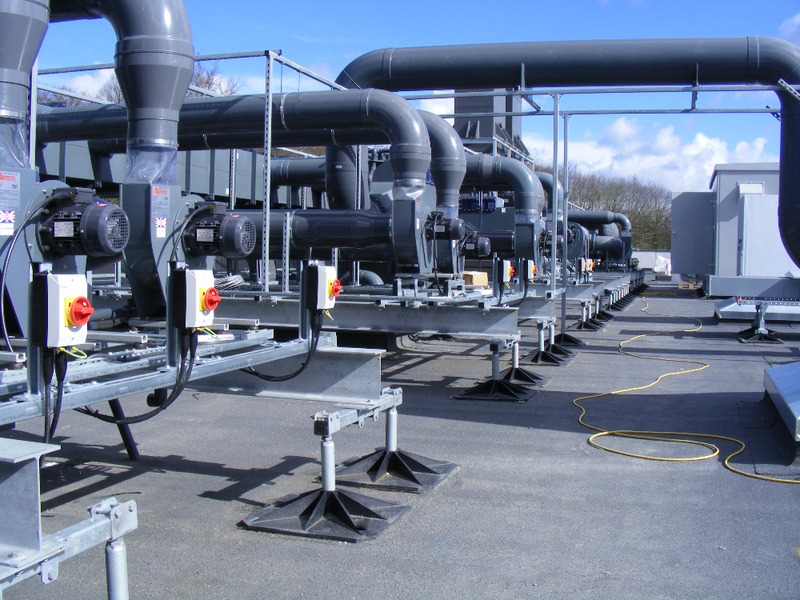 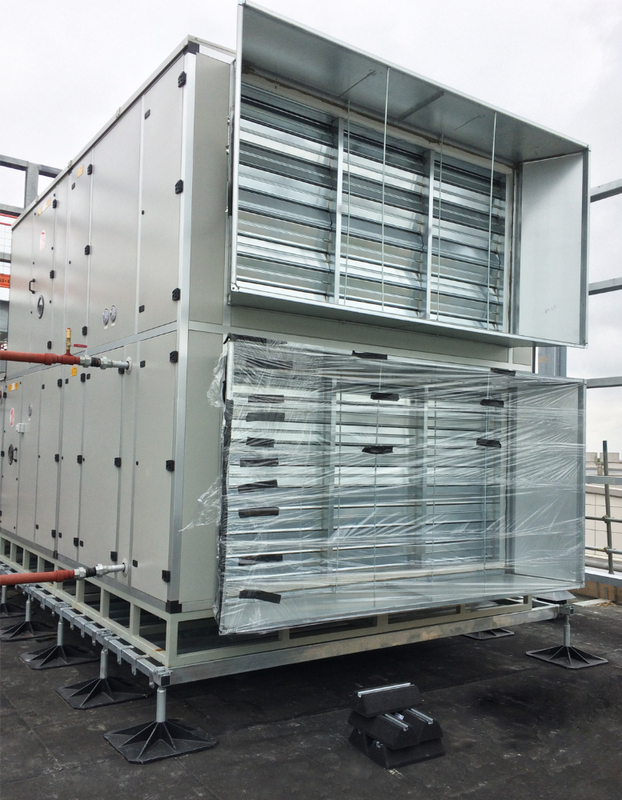 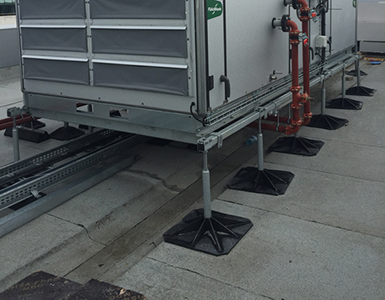 Pump House was recently approached by Woodward & Co (Environmental) Limited in Gloucestershire to supply the complete solution for supporting the rooftop building services at a new retail Store in Sheffield. 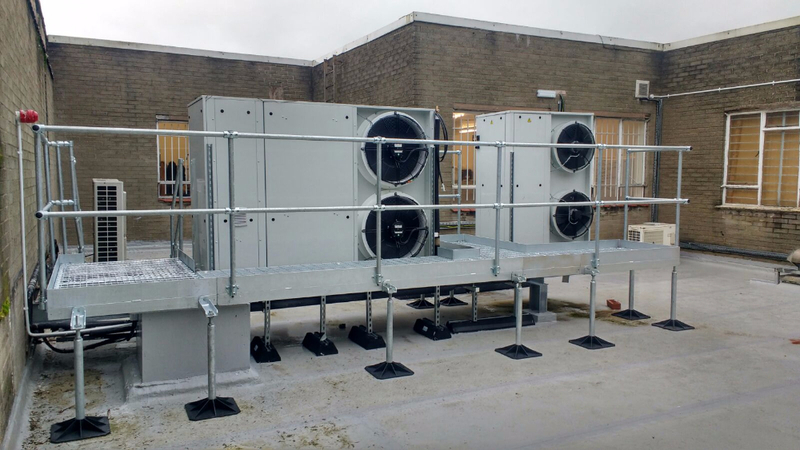 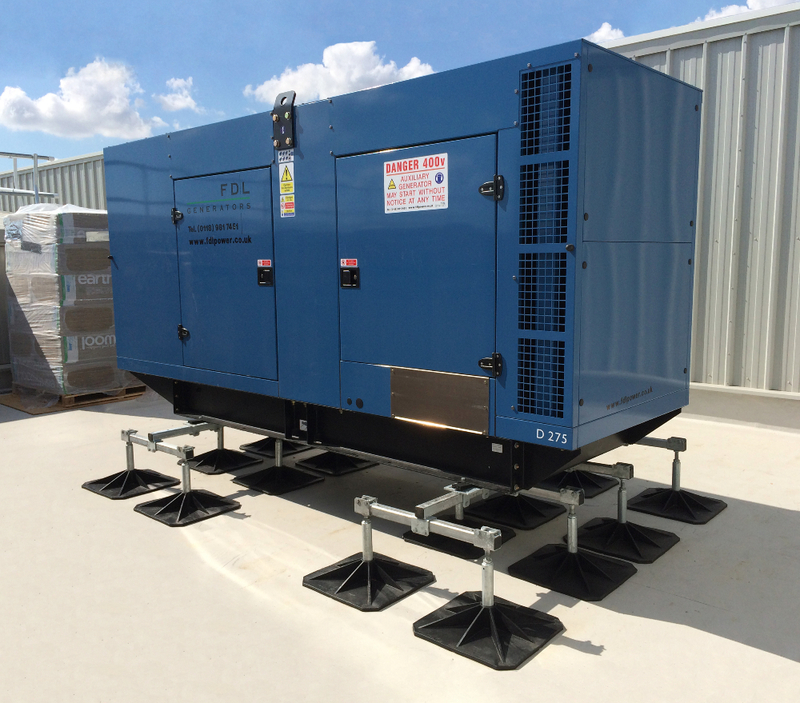 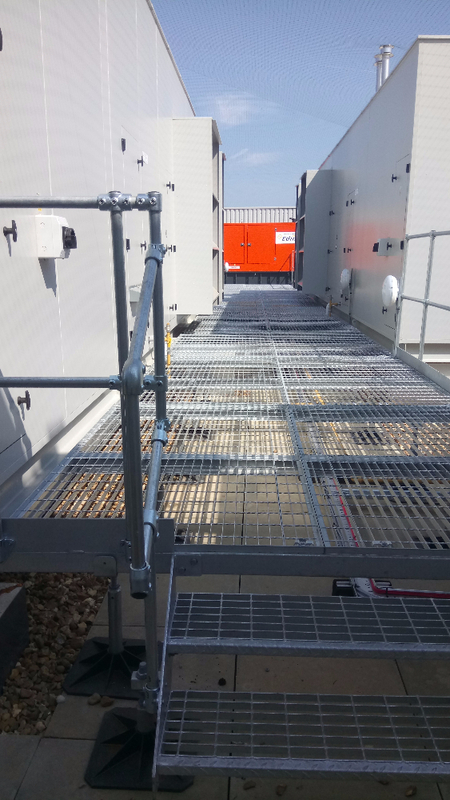 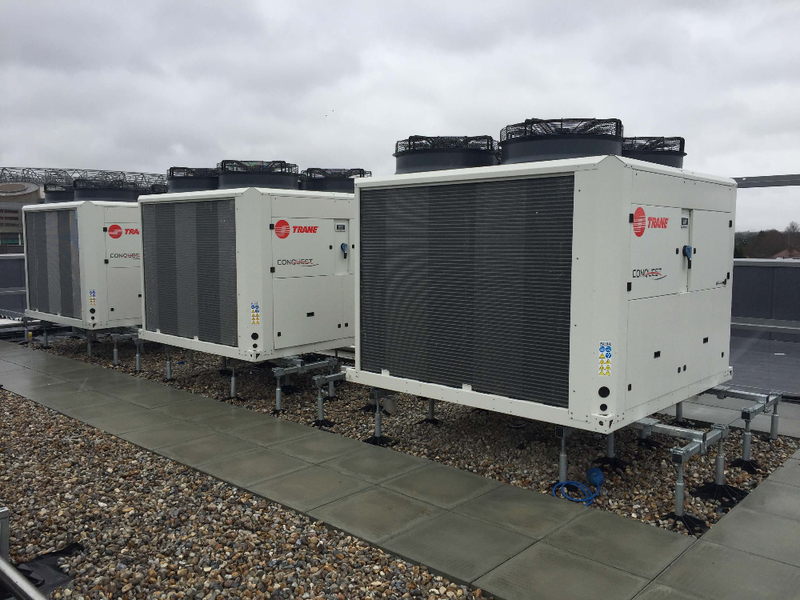 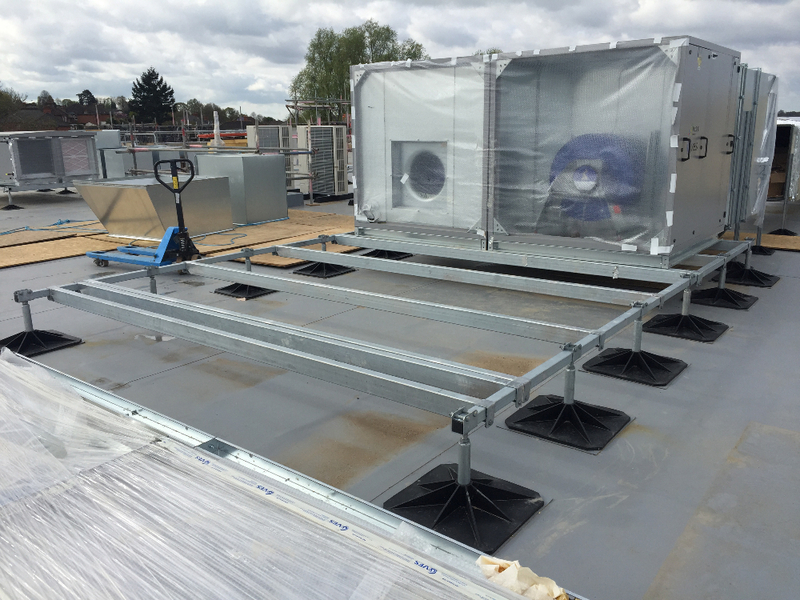 Pump House was recently approached by Woodward & Co (Environmental) Limited in Gloucestershire to supply the complete solution for supporting the rooftop building services at a new retail Store in Banbury. 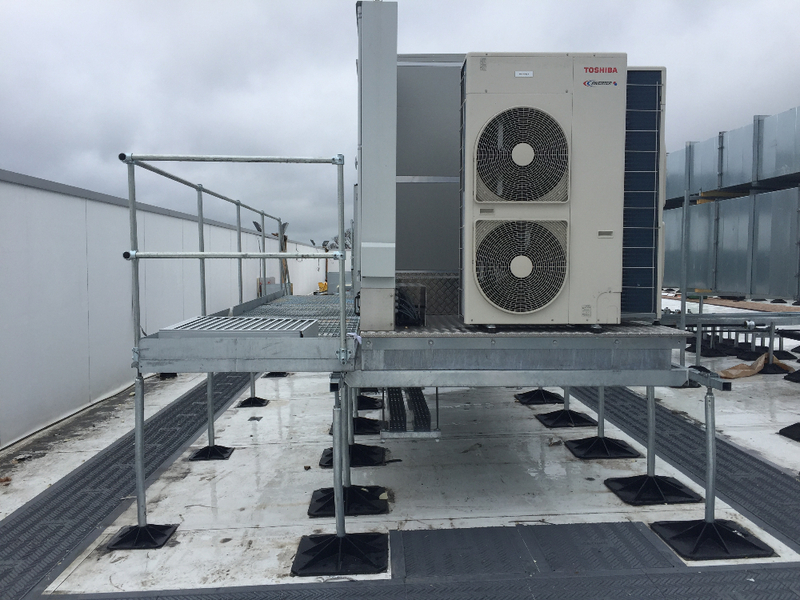 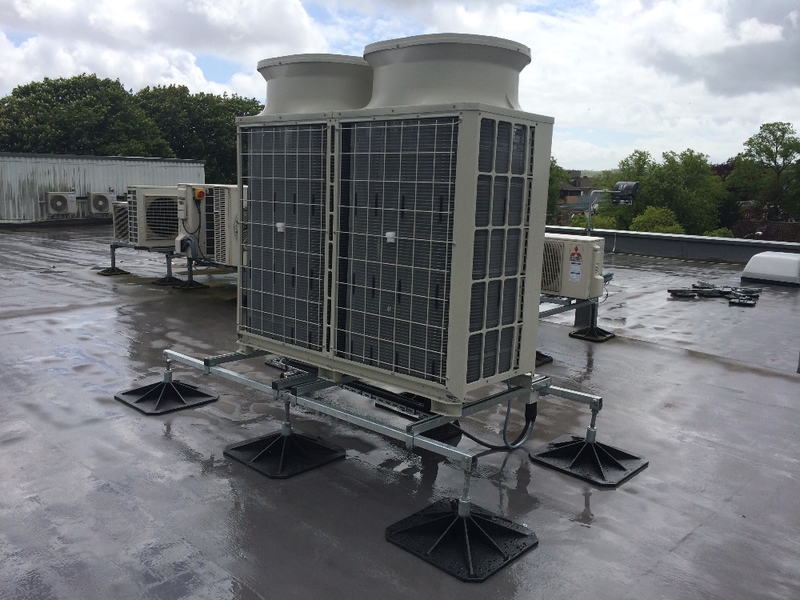 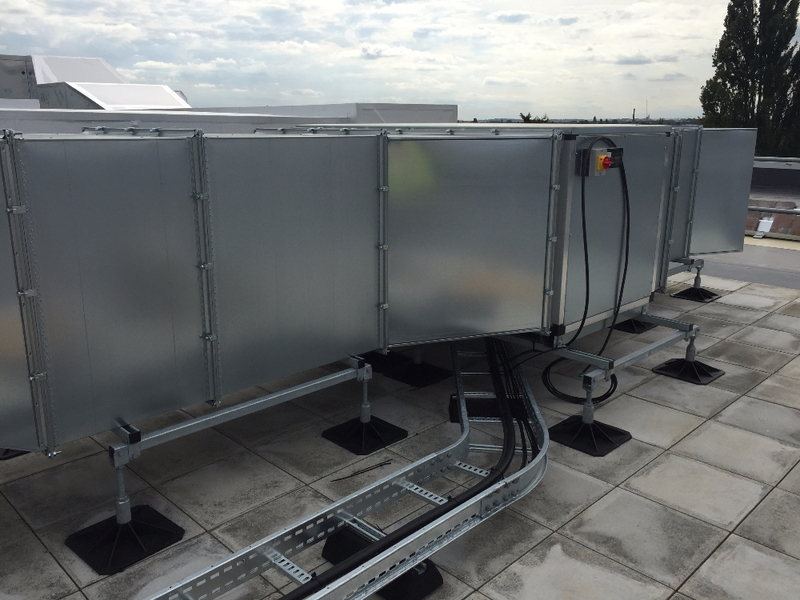 Flexi Support Systems rally round to provide a bespoke solution upon an existing lightweight roof construction utilising their larger 500mm2 feet. 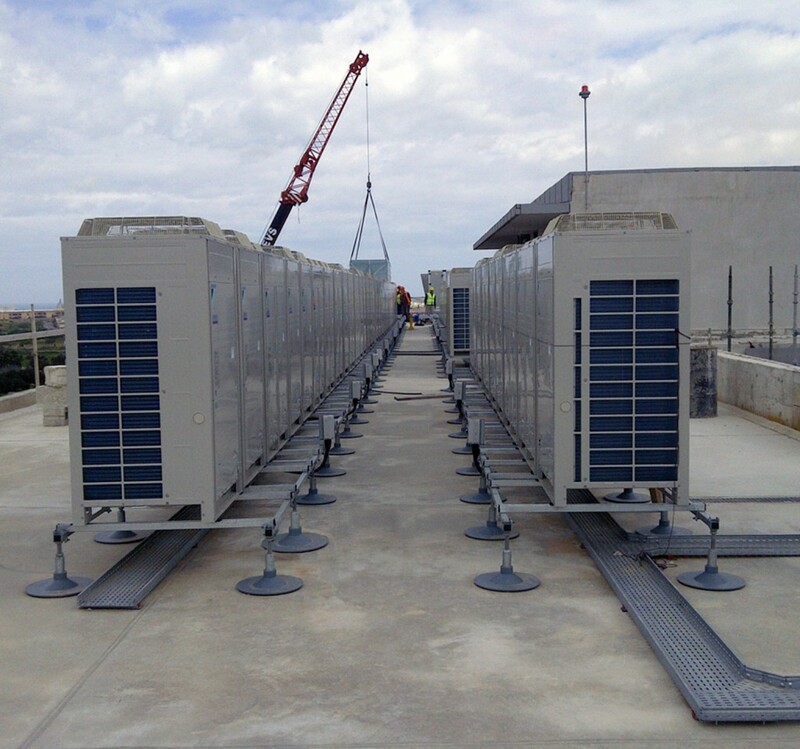 Through our Maltese agent ‘Zarb Installations’, we supplied a number of Flexi light – Flexi Frames which comprised of Base and Extender Frames for the support of various air conditioning units. 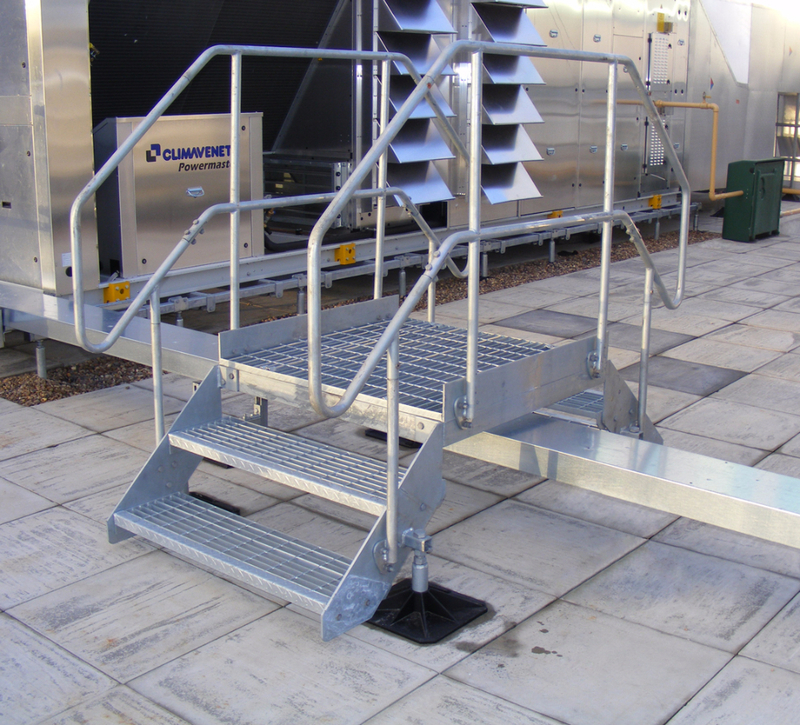 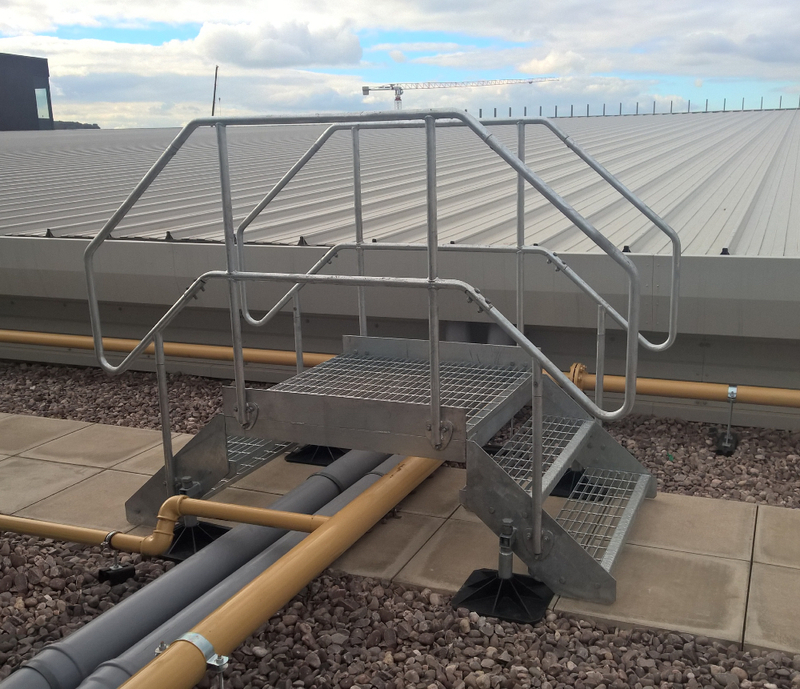 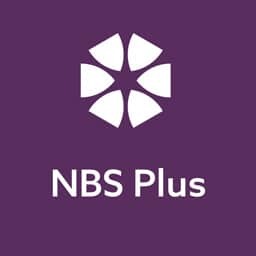 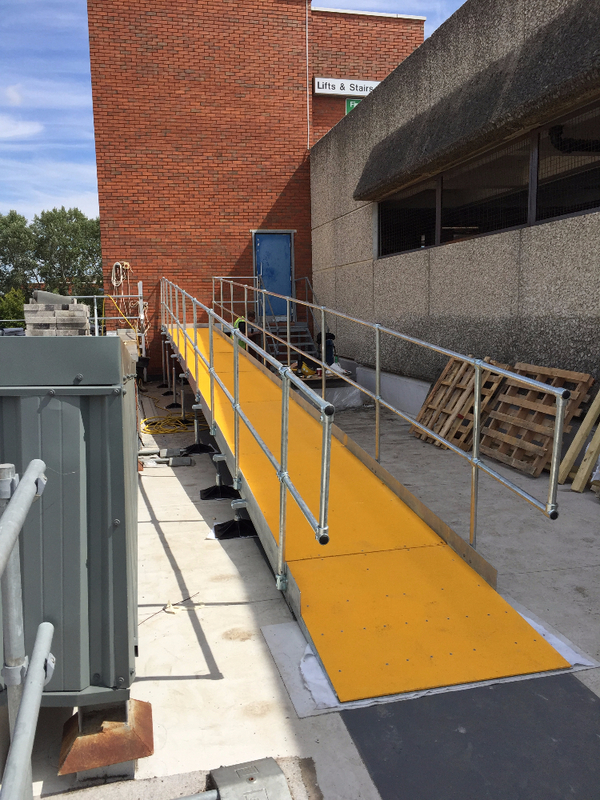 Pump House was recently approached by Woodward & Co (Environmental) Limited in Tewkesbury to supply bespoke access solutions together with two standard stock Step-Over’s to a new major retail store in Longbridge, West Midlands. 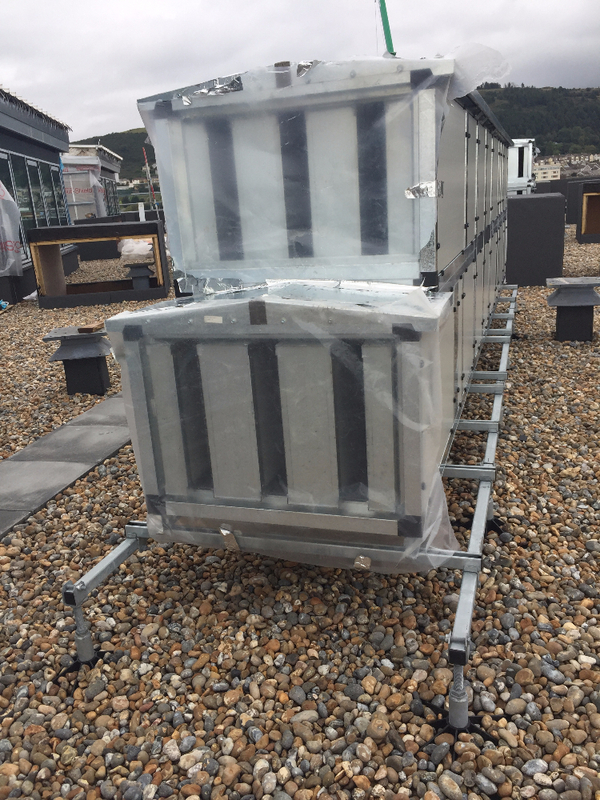 This was a very large installation of Flexi light – Flexi Frames supplied through our Maltese agent ‘Zarb installations’. 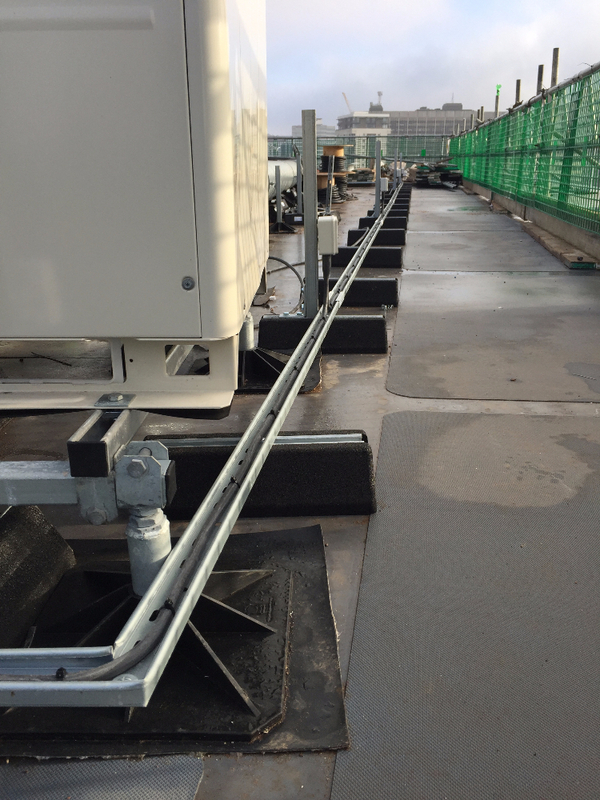 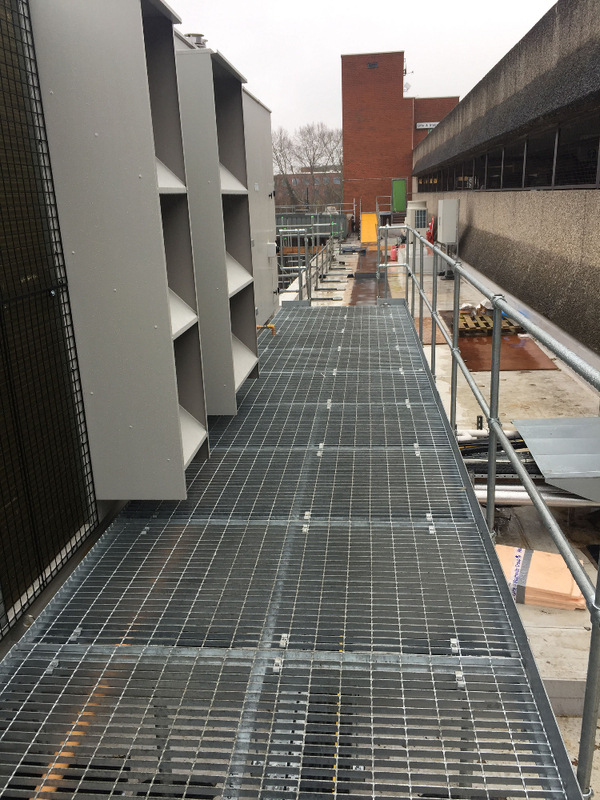 With two parallel runs of Flexi Base & Extender frames the installing contractor could erect and level all frameworks before the utilising a crane to lift up the VRF services directly into position.